The Joint Defence Facility Pine Gap recently celebrated its 50th anniversary. Construction was completed in 1967, and controversy has ebbed and flowed ever since, including with a recent ABC Background Briefing program. Anti-war activists have tried to revive the campaign to close down this extraordinary military base established just outside of Alice Springs. But those who call for its closure appear to have an incomplete view of its purpose and functions, let alone its benefits for Australia. So why the controversy? For years, it has been shrouded in secrecy. The late, great former head of the ANU’s Strategic and Defence Studies Centre, Professor Desmond Ball, was the one who could most clearly explain what Pine Gap was about. He once wrote about it as being the ‘strategic essence’ of the bilateral security relationship between Australia and the United States. He appreciated that, during the Cold War at least, the functions performed at Pine Gap helped verify Soviet compliance with a range of treaty obligations. 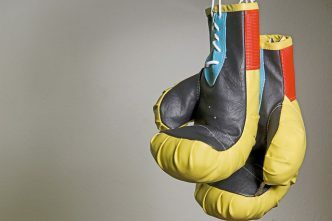 It also gave Australia and the US early warning, not only of nuclear weapons testing and ballistic missile firings, but potentially also a crucial few seconds’ advantage in the event of a nuclear exchange between the superpowers. In light of its investment in the ANZUS alliance and its other ties with the US, the UK and other Western powers, Australia’s hosting of the Pine Gap facility seemed to be a modest contribution to the West’s efforts to keep the Soviet Union in check and to help prevent a nuclear Armageddon. From the Soviet viewpoint, however, undermining the facility through public information campaigns made sense. 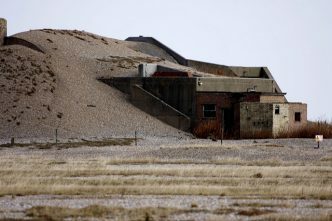 Fortunately for them there were enough people sympathetic to the Soviet position to keep up a level of activism, which kept security authorities on their toes to protect the facility from intruders and sabotage. As it happened, the facility remained well secured and has functioned uninterrupted for half a century. Once the Cold war ended, however, the immediate rationale for the facility appeared to wane. But as Francis Fukuyama’s ‘end of history’ declaration proved premature, the utility of Pine Gap once again became self-evident to anyone briefed in on what it could do. Successive prime ministers and defence ministers, for instance, were unfailing in their support for keeping Pine Gap operational once they’d been informed about its enduring utility and extraordinary capacity. The world has changed markedly since the end of the Cold War. More countries are now nuclear weapons capable and the spectrum of threats has widened as nuclear, biological and chemical weapons have proliferated and security challenges grown. The development of North Korea’s ballistic missile and nuclear weapons capabilities, for instance, no doubt provides the staff at Pine Gap with an enormous amount to focus on. However, it’s no longer just nuclear-armed nations that are the focus at Pine Gap. Nowadays, protesters claim that the Pentagon uses the base ‘for everything from drone warfare to counter-terrorism’. To be sure, technology has advanced rapidly, generating new challenges and new intelligence collection and analysis opportunities. 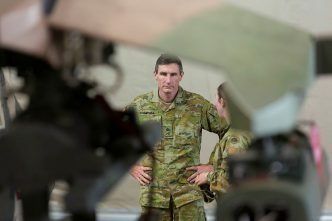 There are strong indications that the facilities at Pine Gap have been instrumental in assisting Australian operations in Afghanistan and Iraq, and provide Australia and its security partners in the neighbourhood with an intelligence advantage. But in the intelligence business, the secret of success, often enough, is in keeping one’s successes secret. So exactly how that support is provided remains veiled in what’s left of the secrecy after Edward Snowden exposed many sensitive and expensive capabilities. The capabilities that military practitioners came to appreciate in the Middle East potentially still have application should they be needed in a crisis closer to Australia’s shores. Drones are perhaps the source of greatest controversy, and yet they’re now an established part of warfare and are employed by state and non-state actors alike—including ISIS recently in Mosul. In earlier generations when air forces lacked precision or reach, bomber aircraft (like ‘G for George’, now housed at the Australian War Memorial) were tasked to undertake highly risky raids that effectively carpet-bombed targets. That seemed the only viable approach at the time, given that there was little way of ensuring the bombs would hit a target. 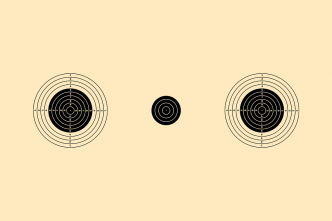 Nowadays, precision-guided munitions, combined with sophisticated and corroborated intelligence sources, enable forces to use armed drones to strike targets with a high degree of confidence—and with relatively little collateral damage. Lawyers closely scrutinise proceedings and operational plans. No doubt, though, controversy remains about the application of this technology and mistakes have happened. Notwithstanding the controversies, the advantage generated by the Pine Gap facility is enormous for Australia and should be carefully fostered. 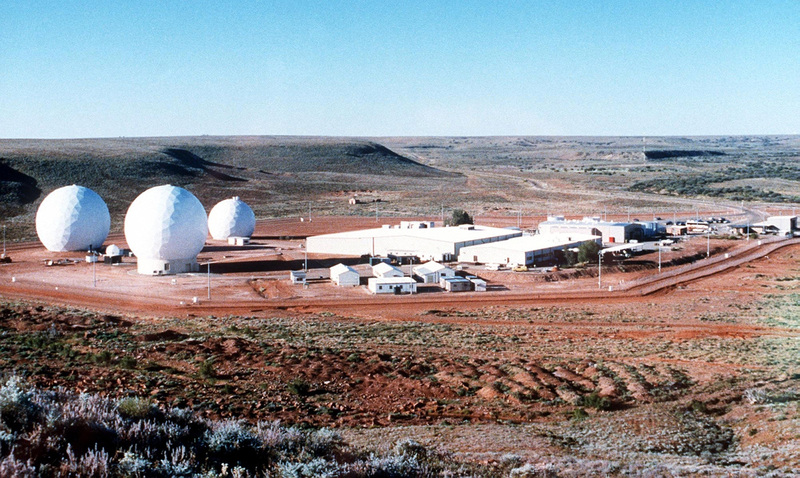 Access to US-sourced technology and resources through Pine Gap provides the Australian government with capabilities that may be drawn on for the defence of Australia and its interests in the region that it would be otherwise unable to replicate. There’s a view that, with modern technology, the functions of Pine Gap could now be performed remotely from facilities in the US. Technically that may be the case, but it would add a significant degree of vulnerability and risk to a system designed for redundancy and survivability in the event of a conflagration. The redundancy and additional capability on offer at Pine Gap suggest that the US will seek to continue to invest in the facility for a long time to come. John Blaxland is professor of international security and intelligence studies, director of the ANU Southeast Asia Institute and head of the Strategic and Defence Studies Centre at the Australian National University. Image courtesy of the Department of Defence.